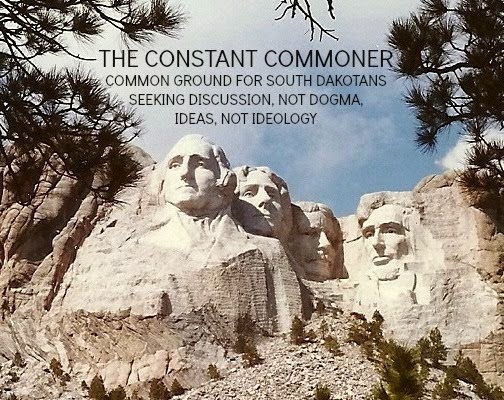 THE CONSTANT COMMONER: It Ain't All That Cheap To Live In South Dakota. Will The State's Leadership Ever Get That? To you point, John, I worked for two of the major employers in Sioux Falls during my work years. One of them does not provide very much of a pension. I also had my own business for some time. When I retired, I had a decent, but not exorbitant nest egg save up. The first few years it did nothing as far as increase. I then switched to another broker, with the information given to him that I wanted my money kept safe at all costs. Along came 2007 and 2008 and my next egg took a pretty severe hit, and I have had it essentially on interest which is also very poor at this time as you know. But I only use this paragraph to illustrate that I did have another source of income besides what I will now illustrate. Within the last couple of days I saw a stat that the median income for SD is 12.72 per hour which is the lowest of all the surrounding states. My two small pensions and my social security based on a 2080 hour work year come to 12.20 an hour. Remember I am not working for that any longer, that was earned while I still worked. My point is, I have no idea how the folks with families can possibly make it on the wages that they earn here. If the median is 12.72, there have to be a lot of people making a lot less than that and then as you pointed out Sunday, have to pay 5 or 6 percent right off the top on their grocery bill for the privilege of buying groceries in South Dakota. I can't imagine trying to get by on $12.72/hr., Lanny. Certainly all hope of what we'd consider a conventional middle class existence has to be abandoned at that wage scale, and it's quite disheartening when you realize that half the workers in the state are making less than that. Top-down economic development, which seems to be the obsession with our state's leadership, can't begin to occur without a quality workforce. Quality people won't materialize if that's the kind of money they can count on. Who would want to come here and make a life with that bleak of a financial scenario? And we wonder why we have a shortage of workers. Supply and demand have to converge at a price point much higher than where it is now. I appreciate your comment. I watched a TED video the other day. (I don't remember the name, but could find it) The guy claimed to be a wealthy businessman. He said I am not a job creator. I hate to hire someone. They just cost me money. The consumers are the job creators. The consumer will demand the service and the businessman will have to oblige. The consumer will dictate what the wage will be. Unfortunately as I see it there is enough money out there. The problem is only the top few pockets get to keep it. Our state priority is to protect the wealthy few because they are the job creators. Which they aren't. I always go back to the last 60 years. The first 30 (1950-1980) wages went from like $3000 to $30,000 in that period. The next 30 years (1980-2010) wages went from like $30,000 to $33,000. Taxes for the first 30 year period were 90% and were lowered in last 30 year to 30% or less. As you can see when taxes are 90% it behooves the wealthy to pay good wages and benefits. When taxes are lower it works better to keep the money at the top. We may not need social programs just a gentle nudge from the tax man. A point worth pondering, Dallis.